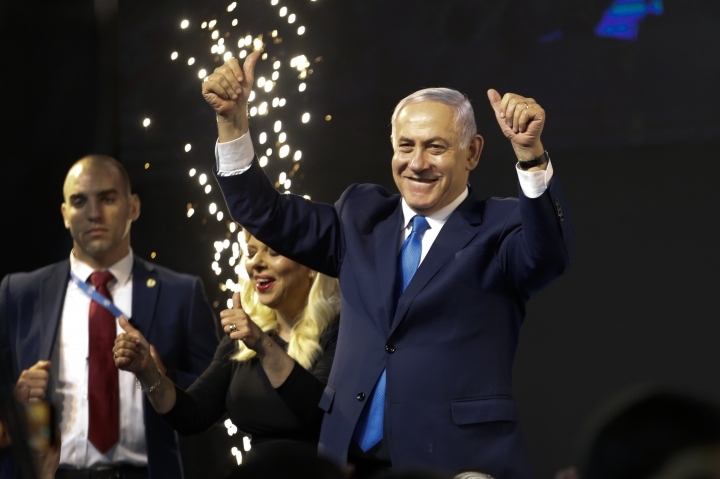 JERUSALEM — After a campaign widely seen as a referendum on his rule, Benjamin Netanyahu is the winner of Israel's election as he heads toward a record-setting fifth term as prime minister. The Likud party's apparent victory paves the way for Netanyahu to build a coalition with his ultra-Orthodox and religious-nationalist allies. Ultra-Orthodox Jewish parties, the prime minister's key allies in the past three governments, gained a handful of seats. The Sephardi Orthodox party Shas, for example, rose to become the third largest party in parliament. Ultra-Orthodox parties commanded 13 seats in the previous parliament. With most ballots counted, the two ultra-Orthodox parties were projected to win a total of 16 combined seats. Like the previous Netanyahu administration, ultra-religious parties will likely wield outsized influence despite comprising less than 20% of Israel's Jewish population. Netanyahu's gambit paid off, and the Union scraped past the electoral threshold. The parties have also signaled they'll stand by the prime minister if he is indicted on corruption charges, and support him in passing immunity laws to protect him from prosecution. 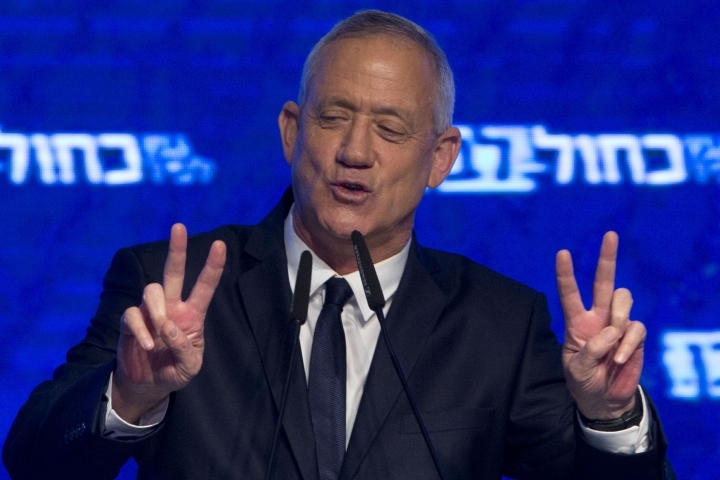 Former army chief Benny Gantz proclaimed victory to an exuberant crowd at Blue and White's election party in Tel Aviv, when exit polls had him in a dead heat with Netanyahu. He woke up Wednesday to news that, though his party matched the Likud's votes, the tentative election results gave Netanyahu's potential coalition of religious and nationalist parties a clear majority in parliament. The party leaders said their "exceptional outcome" proved that a broad spectrum of Israelis sought "a true alternative" to Netanyahu's 10 consecutive years in office. Gantz said that his party managed in 70 days to match the power of a party that's been a dominant force in Israeli politics since the 1970s. Israel's liberals and socialist left wing bloc suffered a major defeat. The Labor Party, which founded Israel and dominated politics for its first 30 years, plummeted to a historic low of just six seats in the 120-member parliament. Several factors, including disillusionment with party chairman Avi Gabbay, contributed to Labor's fall. But most significantly, the centrist Blue and White party supplanted Labor as the main viable alternative to long-ruling Likud, siphoning off support from the left. The dovish Meretz party lost parliamentary seats, earning the minimum of four. The country's Arab parties, plagued by low Arab turnout and divided by infighting among faction leaders, dropped from 13 seats to just 10. Far from its heyday in Israel's pioneering age, Israel's left now appears doomed, as Yohanan Plesner from Israel's Democracy Institute said, "to represent a mere niche." The New Right party, led by Education Minister Naftali Bennett and Justice Minister Ayelet Shaked, may not win the necessary 3.25% of the vote to qualify for the Knesset, Israel's parliament. Ultranationalist libertarian Moshe Feiglin's Zehut party, touted as the Cinderella story of the election, also saw its parliamentary hopes evaporate as actual votes fell short of the minimum needed to enter parliament.